Prof. Yuntao Tian from Sun Yat-sen University, Guangzhou, former Ph.D. student at the University of Melbourne, and now a collaborator in thermochronology research. Working on the low-temperature thermochronology and tectonic evolution of eastern sector of the Tibetan Plateau. As the Indo-Australian Plate converges with the Tibetan Plateau, recently, so too do researchers from respective locations, outcomes of which are proving to be sizeable. Professor Andy Gleadow, from AuScope’s Earth Composition and Evolution component, explains. 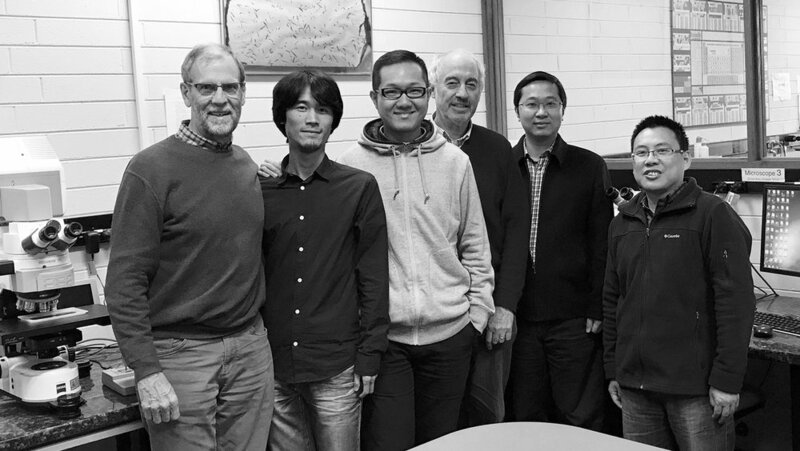 Our Thermochronology Research Group at the University of Melbourne has a wide variety of international collaborations, with particularly strong and ongoing relationships with Chinese researchers. All studies rely on AuScope-supported age dating facilities for temperature-sensitive age dating techniques, or ‘thermochronology’. One recent study led by long-term collaborator, Yuntao Tian, has explored the synchronous fluvial response to surface uplift in the eastern Tibetan Plateau. That is, this is the relative timing between plateau uplift and river-induced erosion incising its flanks. Tian et al used AuScope’s fission track and uranium-thorium-helium dating equipment to reconstruct the thermal history of rocks in two vertical profiles through locations where two rivers have eroded into the plateau. Findings indicate that the timing of plateau uplift and river erosion spanned around 2 million years, around 10 to 12 million years ago (Cenzoic period), which in geological timescales, is relatively synchronous. This work has challenged popular geodynamic models for explaining the vertical and lateral expansion of the plateau. It provided important long-term evidence for re-assessing the seismic risk of major faults in the hinterland of the Longmen Shan (thought to be inactive by some geologists), as well as the frontal zone that was ruptured by a Mw 7.9 Wenchuan Earthquake in 2008. An extension of the impact of this research is that scientists can now better predict how the vast network of valleys emanating from the world’s largest plateau (2.5 million square kilometres) might respond to glacial melting as climate change takes hold in the near future. Papers have been published in the journals Geophysical Research Letters and Geochemistry, Geophysics, Geosystems were selected as the cover page of the hosting issue and featured as an AGU (American Geophysical Union) Research Journal Highlight. Researchers at the Fission Track Thermochronology Laboratory at the University of Melbourne, from left to right: Prof Andy Gleadow, Mr. Jianzhang Pang, Mr. Peng Gao, Prof Barry Kohn, Dr. Liangbiao Lin, Dr. Zhanghuang Ye. Image: Prof. Andy Gleadow. Dr. Zhiyong Zhang, Associate Professor from Institute of Geology and Geophysics, Chinese Academy of Sciences. 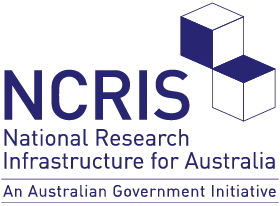 Current research interests include Meso-Cenozoic tectonic evolution of Tarim block, Precambrian magmatic events in western China, Thermochronological study of Zagros Orogen and Tectonic history of Neo-Tethys. Mr. Jianzhang Pang, Visiting Ph.D. student, Institute of Geology, China Earthquake Administration, studying the uplift of mountain ranges and evolution of sedimentary basins in the northeast Tibetan Plateau by apatite fission-track and U-Th/He thermochronology. Dr. Zhanghuang (Chuck) Ye, Jiangxi Science and Technology Normal University, China. Focusses on uplift and denudation of ancient orogenic belts and the preservation of ore deposits using low-temperature thermochronology. Dr. Guangwei Li, Research Fellow in the School of Earth Sciences with Professor Mike Sandiford. Working on the evolution of the southern Tibetan Plateau. Mr. Qingyang Li, Ph.D. student in earth sciences at the University of Melbourne, with Profs Andy Gleadow and Barry Kohn. Working on the development of 3D methods for the study of fission tracks length distributions and their use in thermal history reconstruction. Dr. Song Lu, Research Fellow in Earth Sciences at the University of Melbourne (former Ph.D. student at Uni Melbourne) – Thermotectonic Evolution of the SW Yilgarn Craton and other Ar/Ar and low-temperature thermochronology projects. If the old model doesn't fit, build a new one.